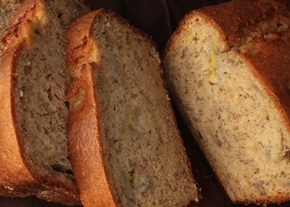 Banana bread remains one of Jamaica’s favourite pastries! It's truly a mouth-watering Jamaican dessert that has been passed down from generation to generation. I'll give you a bit of background to it and share with you a simple and easy recipe, ready? Jamaica has a rich tradition of banana growing. In fact, it was once a major exporter for the country. It was during World War II that Jamaicans had to eat green banana which was also known as the ‘long grain rice’. Banana is easily accessible in Jamaica as it’s deeply embedded in our cuisine. 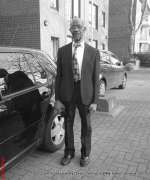 It’s grown abundantly locally, especially in the rural areas. Most households grow it in their backyard (mine too). We therefore developed numerous creative ways of using this versatile fruit. By the way, bananas, when ripe, will spoil easily if not quickly consumed. 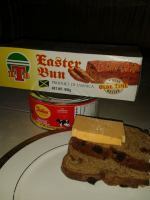 To avoid waste, Jamaican housewives tries to include it in their daily recipes. New! I found a new way to 'save' my bananas! I simply peel (remove) the skin when ripe and freeze them. I usually portion them to my expected use or serving size to make it convenient when I am ready to use them. Below is a simple but great recipe. It includes creative uses of our some of our spices too. Try it and enjoy! Pour into greased and lined loaf tin and bake at 350° F for one hour or until done. This recipe allows for 6 yields and can be eaten hot or cold. 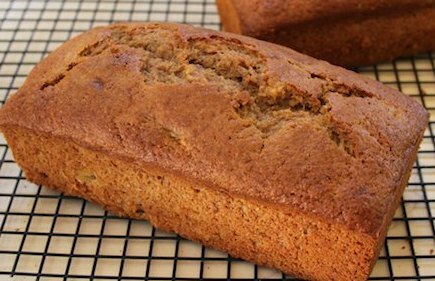 For optimum flavor, use bananas with skins that are almost black, as using bananas that are not overripe will not produce the potent banana flavor that makes good banana bread, and will cause the texture to be different. Want to learn cook other tasty Jamaican food items? 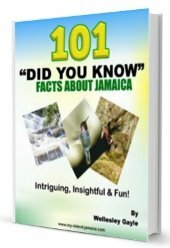 Be sure to get more free Jamaican Recipes here as well. 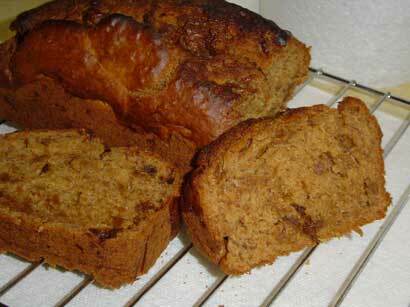 Return to free Jamaican recipes from the Jamaican banana bread recipe. Return to Jamaican Food from the Jamaican banana bread recipe.